Beware! He Doesn’t Wear a Red Suit! “…greater is He who is in you than he who is in the world” 1 John 4:4. The Delivery of Presentation: Know Who is Presenting. Know “WHO” is presenting to you — not knowing could cost you far more than you bargained for. It is not always what it seems. Satan is the master of lies, authors of lies, the great deceiver. He is NOT your friend. I only know of ONE who came and died, out of immense love for mankind, on a Cross, his name is Jesus Christ! Knowing “Who” is presenting makes all the difference in the world! 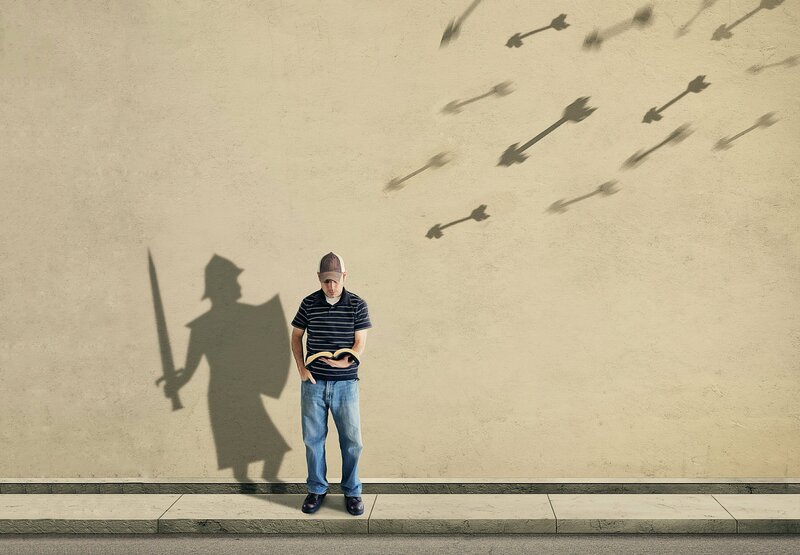 What is the armor of God and truthfully, do we really need it? Have you ever wondered why we need to fight or for that matter ‘wear’ such spiritual garments? Why we must do this so-called fighting that quite frankly we do not even ‘see’ – or do we? I believe we all would say that we have fought a battle or two in our life time whether it was with our kids, our in-laws, our parents, possibly our spouse, or maybe even God. But one of the most troubling battles we face [more than we care to realize] are not the things that we ‘perceive’ with our five sense – but rather everything else that is unseen. Don’t get me wrong, we certainly wrestle here on earth and it’s directly related to the visible and invisible, but we must not forget that the invisible is REAL – much more than we care to reckon. So before we disregard its presence, let’s take a little look. My Pastor, who is also my husband, said a few months ago in a Sunday morning worship service, “Remember who your REAL enemy is! It is not those sitting next to you here at church; it is not those who live in your home or extended family members; it is not the workplace, the store, that slow driver in front of you that is ‘making you late’; it is not people; it is not God – it is the DEVIL. 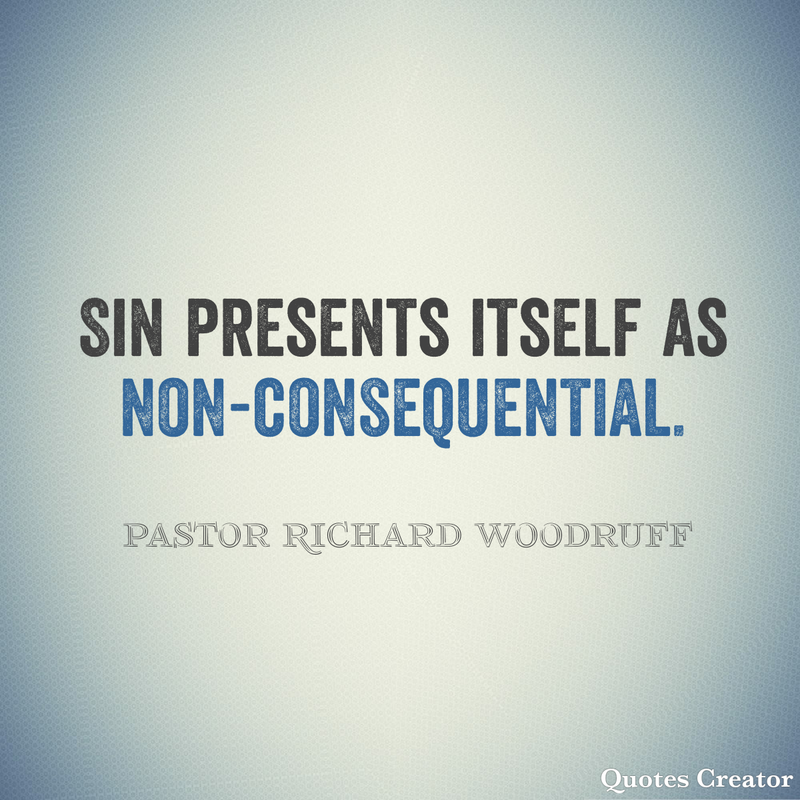 Your real enemy is the devil!” [Pastor Richard Woodruff] We must remember who the real enemy is! The devil (aka: satan – who is the great deceiver) wants you to ignore the spiritual reality behind your physical reality. Why? It is to his best interest and your greatest destruction; for he knows that as long as you are focused on what you physically ‘see’ with your eyes, he can continue his dirty deeds and run rampant underneath the surface. This only happens when we are personally distracted, unfocused, (mind, heart, spirit) on the things that do not matter most. Isn’t that so wicked – oh wait a minute…he is wickedness, he is not our friend…he is the greatest deceiver! Following me, yet?! My friends, it is not for us to live in fear over the devil, but rather live in wisdom, knowledge and understanding of who and what our enemy is and capable of – but more importantly resting in the power of knowing who our God is and who we are through Jesus Christ. Remember we have already won the battle, but don’t live foolishly – the enemy may be invisible, but he is not fictional. He is present. Real. He wants to destroy you! He is persistent. Consistent. So, how does one defend, reload, and stand strong? Study out the armor of God – allow it to become you! You want to see personal victories – PRAY – for there is victory in spiritual warfare when prayer is practiced. Don’t be afraid of it – just do it!